realize we were all just tiny beings permitted to ride on the outermost skin of one of the smaller planets for a few trips around the local star. This realization never deterred us but rather presented a new horizon to be studied, a new frontier to be explored. Now, over 400 years later, a joint venture between the European Space Agency (ESA) and Roscosmos State Cooperation has resulted in a mission to search for evidence of life on Mars, a feat both Kepler and Galileo would’ve bowed to. When it comes to ExoMars though, here’s the real question to ponder: What has Mars got that makes it worth repeating billion dollar journeys by the world’s top space agencies? 78 million kilometers away, our neighboring red planet dwells in the unknown. The destination of eight explorative journeys, Mars has a history of being rather unfriendly to attempts from Earth to reach it, told by the multiple failures to land a rover on the planet’s surface throughout the history of space exploration. The object of many a curious man’s thoughts, it was Giovanni Schiaparelli, an Italian astronomer, that paved the way to the popularized belief of intelligent life on Mars during the first half of the twentieth century. Among many of his telescopic observations, Schiaparelli observed a dense network of linear structures on the surface of Mars that he called “canali” in Italian. A mistranslation to English from the originally intended meaning of channel referring to natural configurations, to canals, indicating an artificial construction led to widespread speculation and hypotheses of Martian life. Subsequent improvement in technology led to better observation of the surface of Mars and to the disproval of Schiaparelli’s famous channels, which were in fact a mere optical illusion. However, this did not completely rule out the possibility of life on Mars but instead led to further investigation and research into the area of exobiology. What started with ESA’s ambitious Aurora Space Exploration Program back in 2001, ExoMars has quite a history. Originally a European-based rover mission, it was further developed to be a joint venture between ESA and NASA, with NASA intending to launch the spacecraft. However, deep budgetary cuts led to a disunion, with NASA backing out of the project in 2012. Ultimately, an agreement was signed between Roscosmos and ESA in 2013 for a two-mission venture, both to leave the planet on Russian proton rockets. 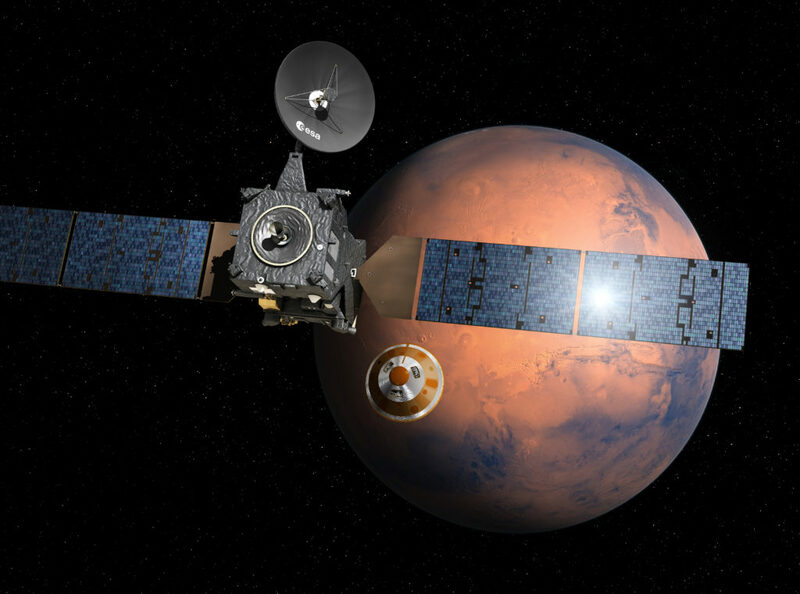 The ExoMars mission calendar has two main events: The first phase that launched in 2016, composed of a spacecraft with two bodies – the Trace Gas Orbiter and the Entry, Descent, and Landing Module (EDM or commonly called the Schiaparelli) – both with specific functions pertaining to exobiology. The second event comprises a rover set to land on Mars in 2020 for a mission expected to last into 2022 and even beyond. 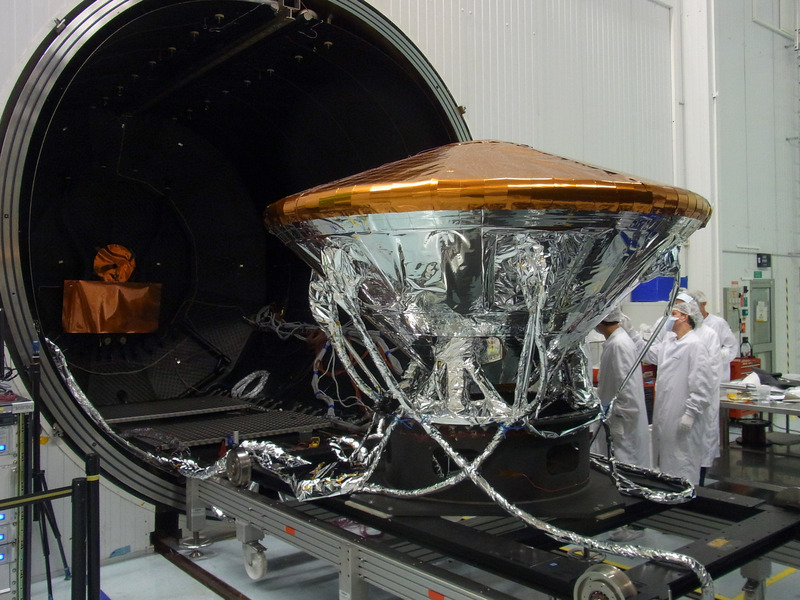 EXOMARS 2016: WHAT IS IT? As a two-part astrobiology mission centered on investigating life on Mars, ExoMars hopes to accomplish a lot. 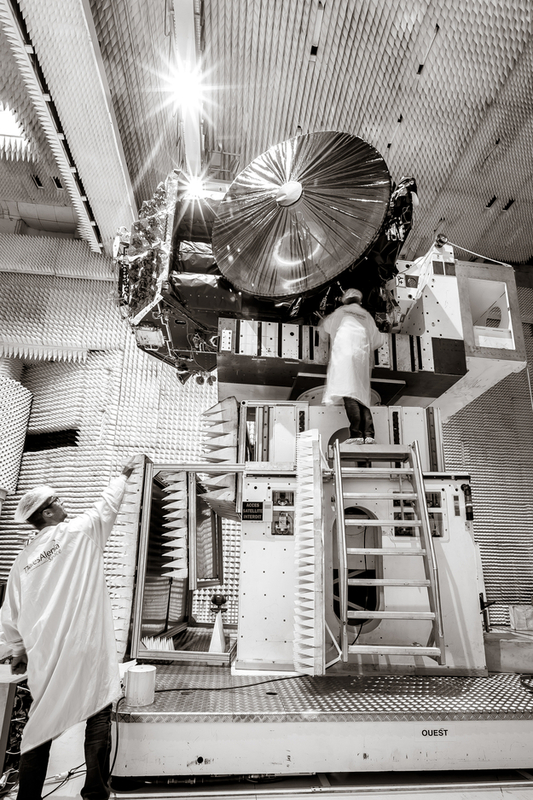 March 2016 saw the launch of the Trace Gas Orbiter (TGO) and the Schiaparelli EDM Lander, both equipped to conduct independent investigations. The 577kg landing module was intended to be a tester for technologies needed for future soft propulsive landings on the Martian surface, and contained a scientific payload named DREAMS (Dust Characterization, Risk Assessment, and Environment Analyser on the Martian Surface). The autonomous system that includes its own power supply would measure meteorological parameters like pressure, humidity, wind speed and direction, temperature and dust opacity, to assess the meteorological state of the landing site. Apart from this, it would also have performed the first ever investigations regarding the atmospheric electric phenomena on Mars. With the landing meant to coincide with the statistical dust storm season, it would have been the first time that the relationship between the enhancement of electric field in the atmosphere and dust entertainment in the atmosphere during dust events will be studied on Mars. The presence of past or present biological activity can be indicated by the presence of specific trace gases in the atmosphere of the planet in question. Methane, an organic molecule of which 90% is produced by living organisms on Earth, is one of the key trace gases to be investigated by the Trace Gas Orbiter along with other hydrocarbon and sulfur species. The presence of methane can be an indication of biological activity on Mars, as its short lifetime (300600 years) proves it cannot be left behind during the planet’s formation 4.5 billion years ago. If methane were to be detected however, biological origin is not the only explanation that would fit. Geological origin, by processes such as the oxidation of iron, is another possible source of methane. The presence of these gases could be from being trapped in solid forms of water that can preserve methane from ancient origins. Serpentinisation (when under low temperature conditions, and in the presence of catalysts and carbon dioxide, a mineral called olivine reacts with water to form serpentine, and hydrogen further reacts with the carbon due to certain catalysts to form methane) is another possible explanation for the presence of methane on Mars. With all that in mind, let’s have a look at the major events in the ExoMars – Phase 1 timeline. We have lift off. The spacecraft, composed of the Schiaparelli landing device and the Trace Gas Orbiter, launched off a Russian Proton-M rocket from the Baikonur cosmodrome. This launch ushers a new era of exobiological research on Mars. A crucial phase of the mission has approached. 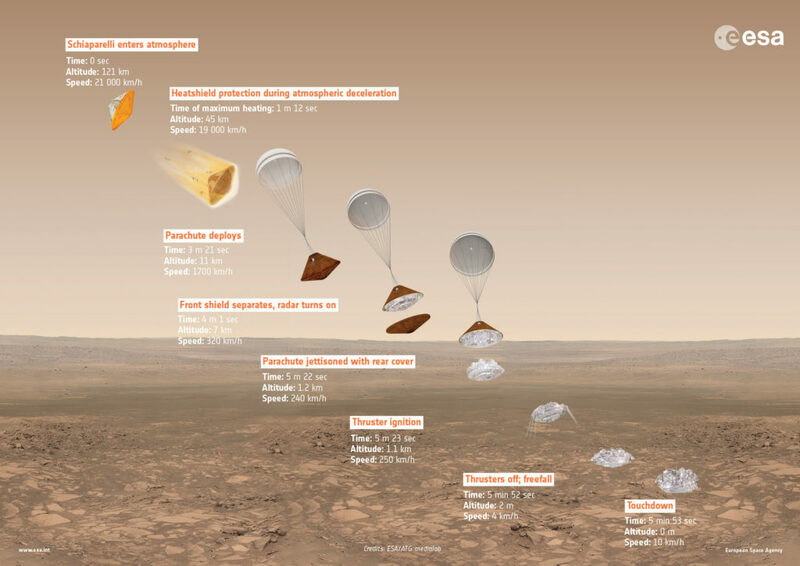 Three days before reaching Mars’ atmosphere, the TGO released the Schiaparelli to continue its three-day coast and a 6-minute descent onto the Meridiani planum of the Martian surface. The search for life is underway. The Schiaparelli embarks on its 6-minutes-of-terror descent down to the Martian surface and the TGO attempts to enter the Martian orbit. The TGO underwent a 139-minute long Mars orbit insertion burn and entered a highly elliptical orbit around Mars. 107 minutes after the TGO started on its orbit insertion, the Schiaparelli began its highly anticipated descent. While the mission controllers back on Earth were on the edge of their seats with nothing to do but wait and see if years of hard work would come to fruition, the Schiaparelli was hurtling through the Martian atmosphere at 21,000km/h. However, things did not go as planned. Shortly put, landing on Mars is hard. The landing device travelling at 21,000km/h from an altitude of 122.5km had to be drastically slowed down to just 7km/h at an altitude of 2km. Employing a combination of aero-braking, thrusters and a parachute, the Schiaparelli was intended to free fall to the surface with a crushable surface on its bottom intended to cushion the landing. The Schiaparelli aced the first phase of the landing, where the module decelerated to 1700km/h simply by travelling through the Martian atmosphere, protected from the intense temperatures by the protective heat shield on its surface. The next step to employ a large parachute to continue its deceleration was also carried out according to the plan. Continuing with the descent, at an altitude of 7km, the landing device was to release its front heat shield and with the information recorded by an altimeter designed to calculate how high the Schiaparelli was and how fast it was going, it was to discard the rest of the heat shield and the parachute. This is where things went haywire, if you will. Per an ESA press release, the altimeter reading fed to the guidance, navigation and control system was correct but the Inertial Measurement Unit (which measures the rotation rates of the vehicle) -usually a predicted value- hit a maximum point. This unpredicted maximum value caused the system to think it was at a negative altitude, making the machine think it had landed already when in fact it was still at an altitude of about 3.7km. A thorough explanation of what happened to the Schiaparelli will only be known to us in early 2017, however this preliminary explanation already teaches the ExoMars team a valuable lesson in preparation for the second phase of the mission, set to launch in 2020. The ExoMars mission has been past hurdle after hurdle. Apart from a seven-month long interplanetary journey, it’s also been through an eleven-year long period of constant change, both in design and function, and in the partnerships needed for its execution. Finally, after having seen a successful launch off the Baikonur cosmodrome, the Schiaparelli landing failure saw another disappointment in the era of the ExoMars. 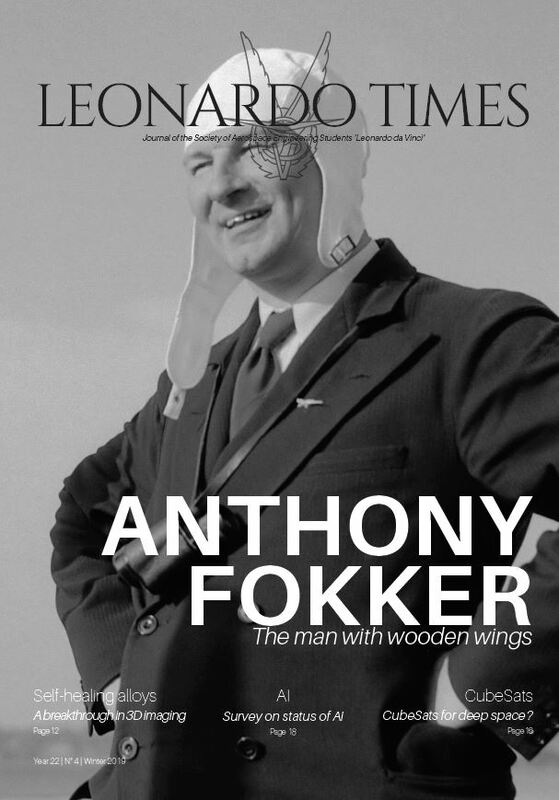 However, this failure is no deterrent in spirit. This is a mission that has pushed past every obstacle to come its way and resulted in a successful 54 million kilometer journey to Mars. Equipped with the attitude of “what doesn’t kill you makes you stronger”, the mission team is now learning and evolving from the data obtained during Schiaparelli’s landing period. However, this landing failure must not overshadow the feat of the TGO in entering the highly elliptical orbit outlined by the mission. After months of aero-braking to adjust its speed throughout the maneuver, it will enter a 400km high circular orbit and begin its scientific experiments later this year. 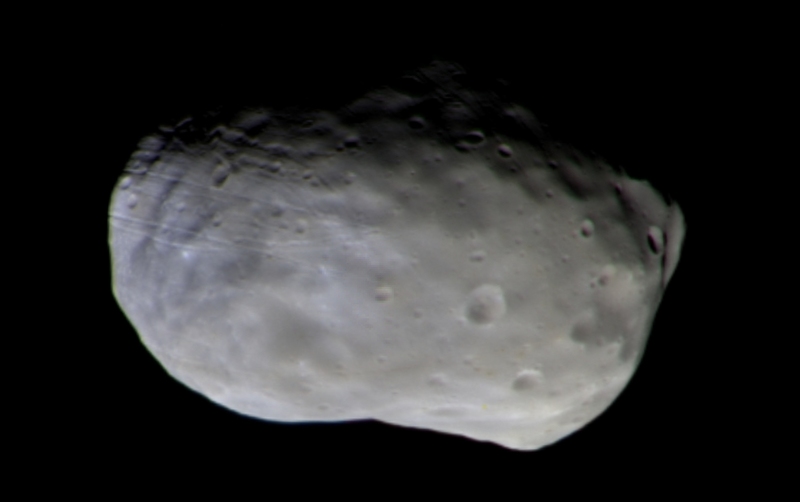 The TGO has already managed to take the first color image of Phobos- one of Mars’ two natural satellites. We have come a long way as a species. From looking up at the sky and making observations, to actually getting us there, it has been quite a journey. But it’s never enough. They say the universe is so vast that our realm of physics is simply not sufficient to satisfy the extent of it. If this is the case, the question of whether we are truly alone in this cosmos takes another turn. And so, the question that has been in the back of all our minds is finally en route to answer-dom. Are we truly alone in this universe or are we just not in view of the whole picture?